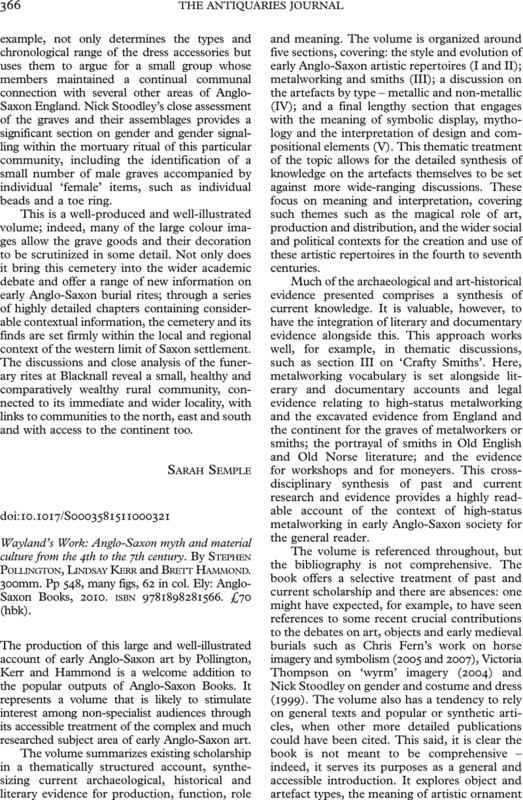 Wayland's Work: Anglo-Saxon myth and material culture from the 4th to the 7th century. By Stephen Pollington, Lindsay Kerr and Brett Hammond. 300mm. Pp 548, many figs, 62 in col. Ely: Anglo-Saxon Books, 2010. ISBN 9781898281566. £70 (hbk).